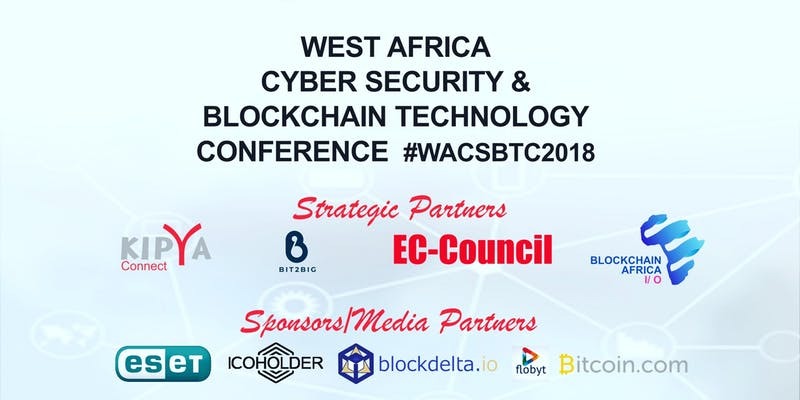 The West African Cyber Security and Blockchain Conference 2018 will host some of the Industry's leading authorities. 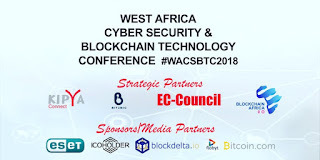 The role of Cyber Security in our everyday lives and the benefits of Blockchain Technology will be unveiled. There will be Anti Virus Internet Security codes from our Partner ESET that will be given to all participants. This course in its 10th iteration, is updated to provide participants with the tools and techniques used by hackers and information security professionals alike to break into any computer system. This course immerses participants into a “Hacker Mindset” in order to teach them how to think like a hacker and better defend against future attacks. It puts them in the driver’s seat with a hands-on training environment employing a systematic ethical hacking process. Participants are constantly exposed to creative techniques of achieving optimal information security posture in the target organization; by hacking it! participants learn how to scan, test, hack and secure target systems. The course covers the Five Phases of Ethical Hacking, diving into Reconnaissance, Gaining Access, Enumeration, Maintaining Access, and covering your tracks. The tools and techniques in each of these five phases are provided in detail in an encyclopedic approach and absolutely no other program offers. The C|EH training explores the evolution of the global cyber threat and how this affects both individuals and organizations. The cyber threat landscape is exemplified through case studies and videos, to enrich the learning experience.